We just launched our affiliate program for Just One Dime! For a long time, I wasn’t sure about creating an affiliate program, but then, I changed my mind. Why? I saw people from our team telling friends about Just One Dime, and I saw those friends buying the program – but the people who convinced them to join didn’t get anything out of it! Why not reward people for spreading the word about Just One Dime? The affiliate program is super simple. Whether you’re a Just One Dime member or not, you’ll have your own account with a unique link to share. Every time someone clicks your link and decides to buy the program, you get a commission. This is easy money! If you love Just One Dime, chances are you’re already telling people about it – so why not earn some extra cash while you’re at it? I’ll make it even easier for you by showing you how to set up your affiliate account, step-by-step. First, go to the Affiliate Form and answer two simple questions. We need this information to set up your account. Within 24 hours, you’ll receive an email that will direct you to the Affiliate Area page. Log in with your usual Just One Dime account information. URL” to get your custom link. And you’re done! 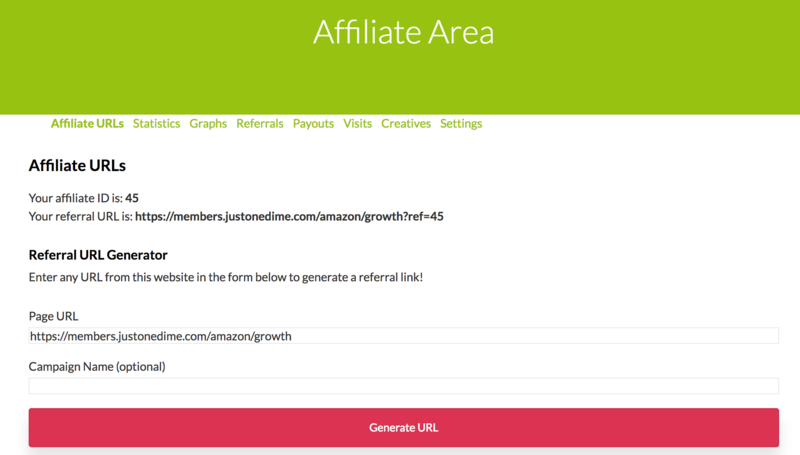 Your affiliate link is ready to share. Whenever someone clicks on the link and buys the Just One Dime program, you’ll receive commission for that sale. If you’re not a Just One Dime member, the process is a little different for you, but just as simple. 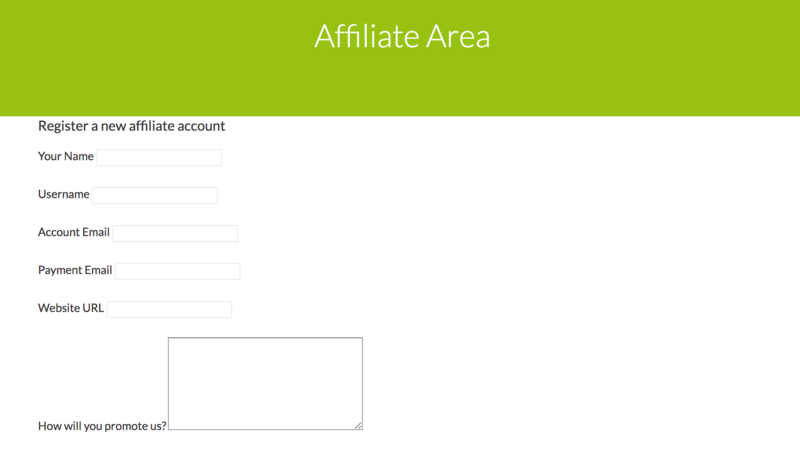 Go directly to the Affiliate Area and register with a new account. You’ll be redirected to the page shown above, where you can click “Generate URL” to get your custom link and start earning commission. Make sure the email you use as your “Payment Email” is the email associated with your PayPal account. We need to be able to send all your affiliate earnings straight to your PayPal account. You want to get paid, don’t you? That’s all you have to do to become a Just One Dime affiliate. If you love Just One Dime – whether you’re a member or a non-member who just enjoys our content – consider becoming an affiliate. My goal isn’t to sell a coaching program; there are plenty of people who do that already. My goal is to raise an army of entrepreneurs who positively impact the world. I want to teach people to invest, to help each other, to share ideas, to cross-pollinate markets and opportunities, and to give back. If you’re as passionate about this goal and about Just One Dime as I am, become an affiliate. Spread the word about Just One Dime, and earn some extra cash while you share our amazing program!